Home / Winandy Greenhouse Company, Inc.
Greenhouse Horticulture Controls are available in digital or analog configurations. 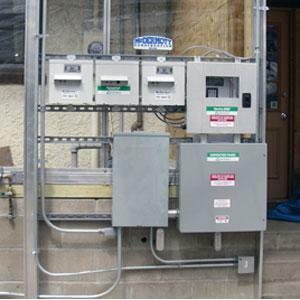 Simple digital, scalable digital, or full computerized digital control can be provided including project wiring diagrams and custom built contactor panels. In addition, weather monitoring system and computer interface software for network applications are also available. Digital technology is the most current form of horticultural control and recommended for most installations. Older, analog technology is also available and can be utilized where budget considerations or end user preferences demand it.